Japan is an enigmatic and wondrous place not easily summed up in a few sentences or fully experienced during a week-long holiday. Thus, scratching the surface of this country’s unique and exciting culture can literally take months to experience, or perhaps even more. 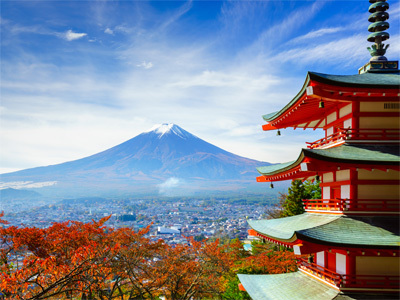 Japan’s diversity really does offer something for everyone—Tokyo’s thrilling nightlife is like no other, the peace and serenity of temples in Kyoto provide necessary moments of relaxation and inspiration, and Japan’s coastal and mountainous areas offer up a goldmine of endless vistas and unspeakable beauty. In between such breathtaking moments, adventure awaits, even in your own neighborhood. Although first timers to Japan can sometimes be intimidated by busy streets, neon lights, and a unique language and culture, the generosity of the Japanese people combined with Japan’s world-renowned reputation for safety quickly puts visitors at ease. ELT Source also realizes that living in another country with a vastly different culture holds its own set of challenges, but in Japan, any difficult moments that might arise are always far outweighed by good times and unforgettable positive experience. As long as you have patience and an open mind, you will discover why so many instructors who come to Japan stay for years. In order to make sure your time in Japan is always enjoyable and positive, ELT Source provides comprehensive support to our employees because we know that happy teachers make for happy students!